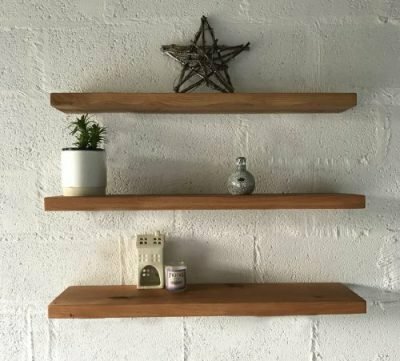 Celtic Timber’s QB2 (Joinery Grade) Kiln Dried Oak Boards make the perfect oak shelves. 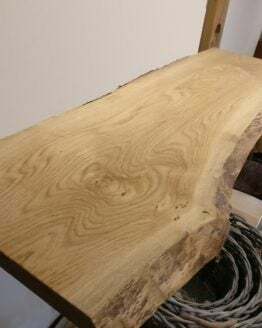 Our oak is also ideal for joinery, tables, kitchen worktops etc. 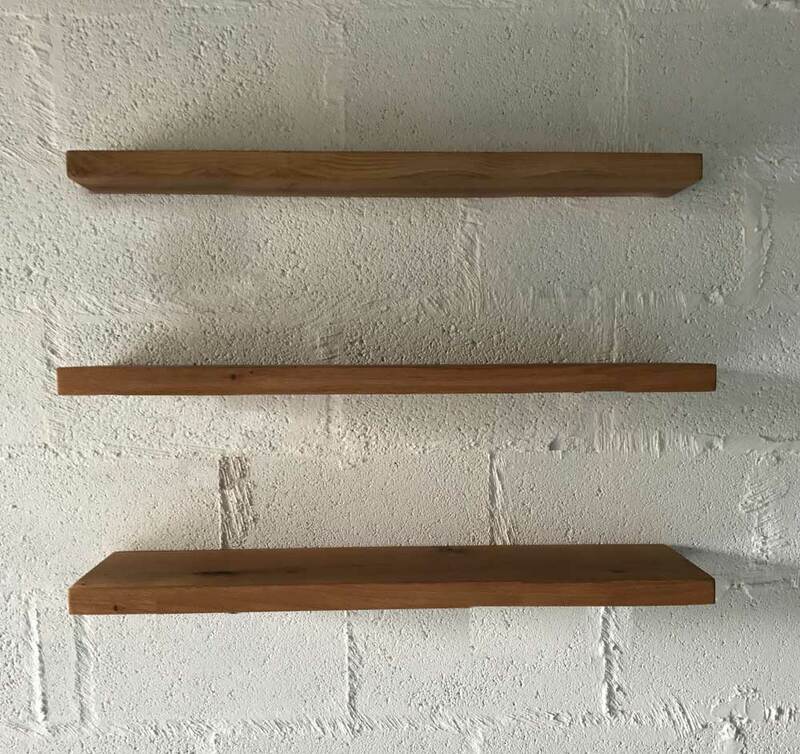 Our shelving boards are Planed and Sanded, ready for installations and with square edges, slightly rounded. 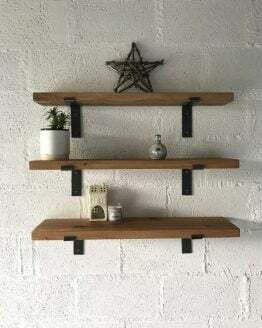 Simply needs holes drilled. 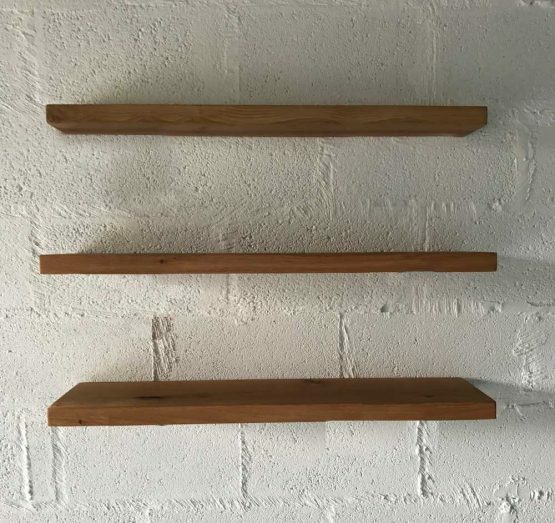 Note – the shelves in the images have been coated in Smoked Oak oil. Price is per shelf. 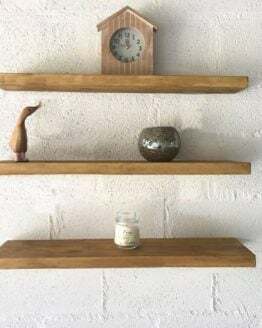 As Oak is a natural product each piece may be different in appearance and slightly in colour. As this product is planed it can lose some of its size, please state if you require an exact size. 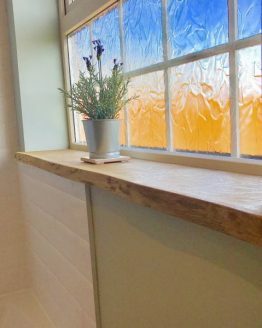 If you are looking for a custom size beam, please order the size above what you require and specify your chosen size in the ‘Order Notes’ section of the checkout. We will ensure that it is planed to your specific required dimensions.